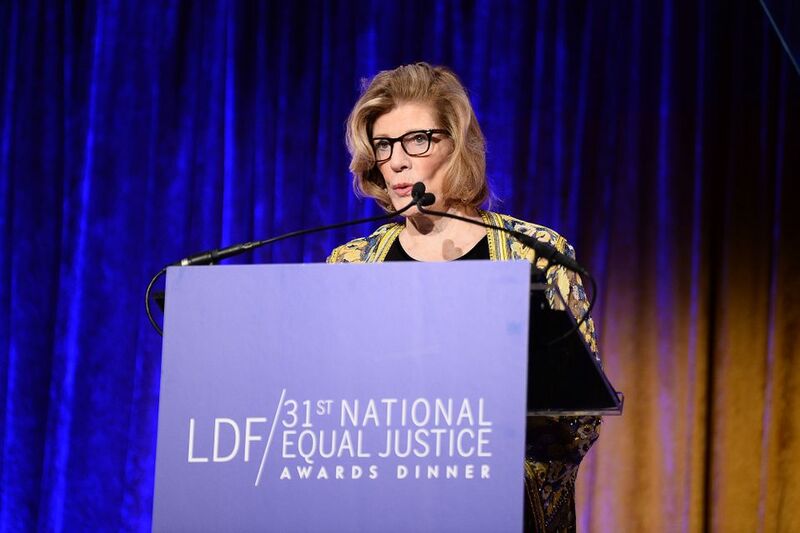 It has been a little over one year since Agnes Gund sold Roy Lichtenstein’s 1962 work Masterpiece for $165m to launch the Art for Justice Fund with the aim of reforming the US prison system. The fund has already awarded $22m in grants to 30 organisations, with another round due to be announced later this spring. As her involvement in social causes grew, she would “ask to do something and then think, ‘Oh my gosh, how am I going to pay for it?’” Fortunately, she is not undertaking this current endeavor alone. Other collectors, including Jo Carole Lauder, Daniel Loeb and Donald Marron, have followed Gund’s example and sold works or made cash donations to the Art for Justice Fund, with the goal of matching her $100m seed gift. Through research from the Ford Foundation, which helps manage the fund with Rockefeller Philanthropy Advisors, they have supported organisations around the country that work directly with current and former prisoners and help effect policy change. “And I think that’s what we want, is some change,” Gund said when the first round of grants was announced in November. While it might be too soon to start looking for results, Gund’s action preceded moves from policy makers to tackle injustice. On Wednesday (14 February), for example, both New York city and state politicians announced plans to move up the closure of the Rikers Island prison complex, due to widespread reports of abuse, corruption and neglect. This has been a goal for many activists groups, including the Katal Center for Health, Equity, and Justice, which received a grant from the Art for Justice fund. The initial round of grants focused mainly on issues such as bail and sentencing reform, as well as education and training programmes that help prisoners return to their communities. One thing Gund says she came to realise is how unfairly people of colour are treated by the justice system. “There have been really good articles showing that if you take a white man that’s in prison for, say, stealing from a store, and he has the same record, the same number of years incarcerated, the same good behaviour as a black man that’s done the exact same thing, the white person gets paroled sooner,” she says. And despite an arguably wrongheaded approach from hardliners such as the US attorney general, Jeff Sessions, who has pushed for mandatory minimum sentences for drug crimes, Gund sees progress being made through programmes such as Californians for Safety and Justice. That group has sponsored propositions on state ballots that have lowered the prison population and aim to reduce reoffending rates. Social justice is not the first cause Gund has supported. Her non-profit organisation Studio in a School, which she started in response to cuts in arts education during the 1970s New York financial crisis, just celebrated its 40th anniversary. The programme not only brings high-profile artists such as Jeff Koons, Julie Mehretu, Ursula von Rydingsvard and Mark di Suvero to visit public schools, it also provides instructors and supplies for art classes from pre-kindergarten to high school. “When people say that art is just a frill and just an extra, it really isn’t the way we teach it,” Gund says. The children are encouraged to talk about the work they create and discuss ideas for projects with each other, she says. She also points to studies that show how students at schools offering music, theatre, dance or visual arts classes do better in other subjects. That is why Studio in a School has a strong focus on early education, including pre-kindergarten and elementary programmes.